Have you ever had a craving for cocktails and Chinese food? Me neither, but this past July Lori and I were treated to a tasting of both in New Orleans at Tales of the Cocktail. We enjoyed spicy and delicious Chinese takeout paired with Baijiu (pronounced bye-joe), a Chinese liquor that’s getting a lot of attention lately. If you’ve never heard of it don’t worry, not many on this side of the world have. Ironically, for a few months leading up to trying it we heard A LOT about Baijiu. I’ve heard it’s the #1 selling spirit in the world (thanks to China), I’ve heard it’s the next great American “trendy” spirit. I’ve heard ghost stories, and legends of famous and infamous enjoying it in the early 1900’s… it’s a bit much, but I figured if it’s liquor, and over 1 Billion people are drinking it, there has to be something to it. It’s been over a month since we had it, but fortunately representatives of the brand were kind enough to send us samples to try and share with our readers. But let’s catch you up to speed on the spirit/brand first. To put it simple, Baijiu is to China, what Vodka is to Russia. It’s a rice or sorghum based clear spirit that despite not being mentioned in your history books, has been around for thousands of years. The original spirit was quite a hit in the mouth, and not exactly for everyone, but it became popular (tequila fans understand). If you’re visiting china, Baijiu shops are everywhere, but it’s pretty non existent in the U.S. and so it only made sense for someone to put 2+2 together and realize there was an opportunity to grow this brand. Similar to the story of how Leblon or Veev came to be HUGE hits in the United States, entrepreneur Matt Trusch saw a huge opportunity with Baijiu with over 1 Billion people drinking it out East. 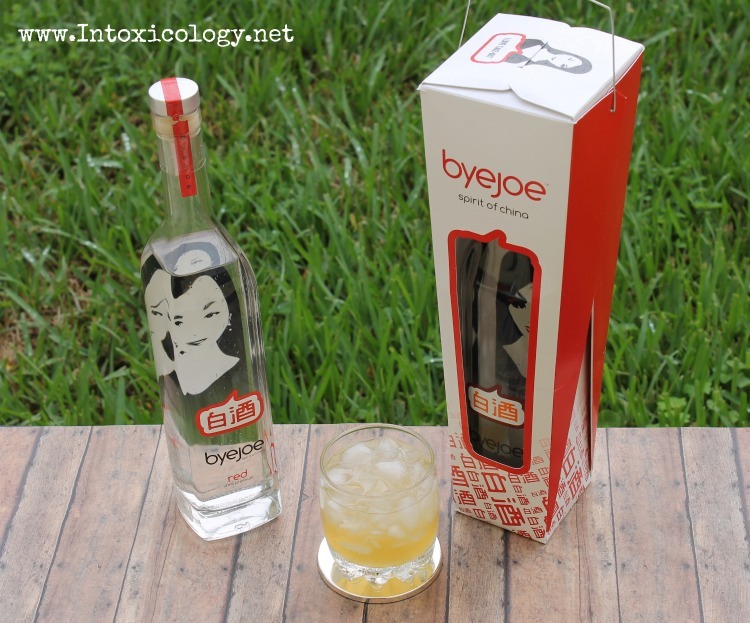 He decided to reinvent the spirit for us here in the West, and even named his company ByeJoe, making it easy for Americans to easily pronounce it. The Review: First impression is everything in life, and definitely in liquor. 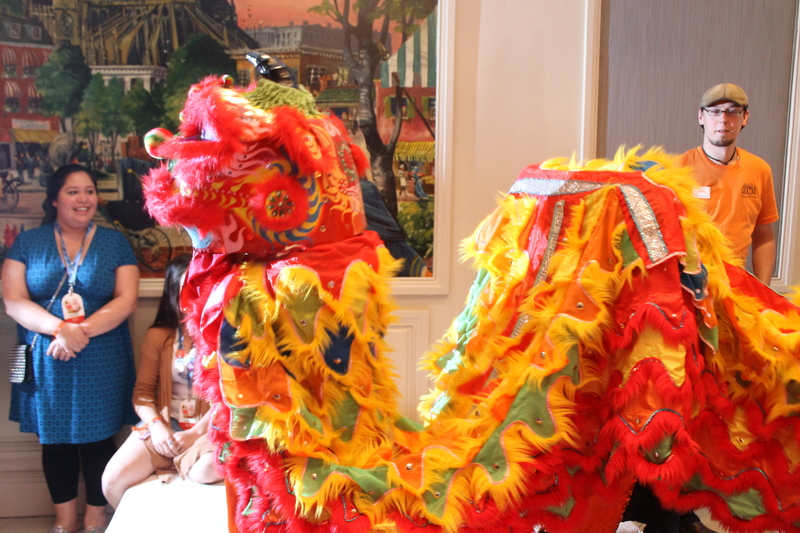 Seeing the ancient Chinese decorations of the ByeJoe tasting room was awesome, but when our samples arrived and we noticed that packaging came in oversized Chinese takeout boxes, I couldn’t help but laugh. It’s clever, it’s fitting, and it leaves a mark in your mind. Beyond the box, it’s in a long, slim clear bottle with nice labeling. The aromas on this one are everywhere. At first it smells a lot like Sake, and then your start to notice a hop-like aroma, like a light beer. The sorghum is apparent because it’s got a very “earthy” smell to it as well. To be honest, after a few whiffs It almost reminded me of nail polish remover. When we tasted it we tried Byejoe a few ways. We sipped it neat then we made a few of the cocktails they suggested. Sipped warm at room temperature you notice it’s a dry spirit, with a lot of flavor on the back end. They often sip it neat in China, which I can tolerate as well because there’s a bit of sweetness initially before it settles in your mouth. On the back end you get flavors of pear and ginger, and an unfamiliar flavor I’m just going to assume is the sorghum. If i’m wrong with that one, please feel free to comment below. The suggested cocktail we tried it in was a “Citrus Dynasty”, a mix of Byejoe, Disaronno, and freshly squeezed lemon juice. The ginger taste definitely mixed well with citrus and made me have to add this recipe to my collection. Overall: It’s smoother than vodka, but way more flavorful. It’s a hit in the mouth and nose initially because it’s really like nothing you’ve ever had. It’s a distilled spirit, but is so flavorful that it almost comes off as liqueur making it deceptively strong at 80 proof. Traditionally its sipped neat & served in cocktails however I think initially it will catch on with it’s mixing versatility. At 30 bucks its priced like a premium vodka, so the Baijiu novice might be better of asking to try it by the glass at a liquor store, or at Chinese restaurant to how you like it. 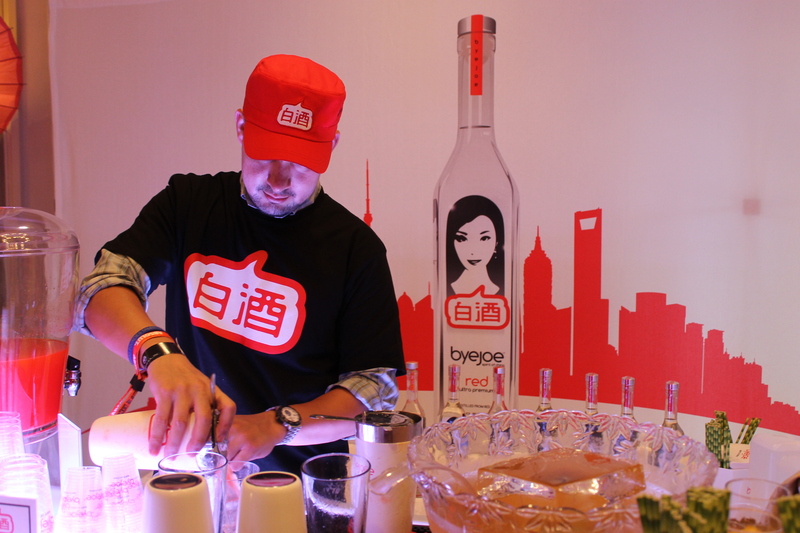 For more information on ByeJoe Baijiu including where to locate a bottle, visit www.byejoe.com . Byejoe sample was provided courtesy of the brand.